People change over the years as time passes. Some changes are due to drastic plastic surgery, others through aging, and some look better with age. Take a look at the 15 stars with side by side pictures of what they looked like as kids and how they look now. 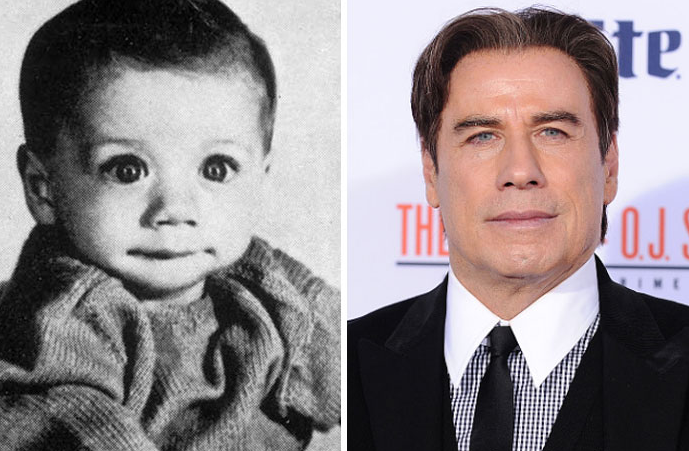 John Joseph Travolta is an American actor, producer, dancer, and singer. Those blue signature eyes he has are even more distinct as a kid.